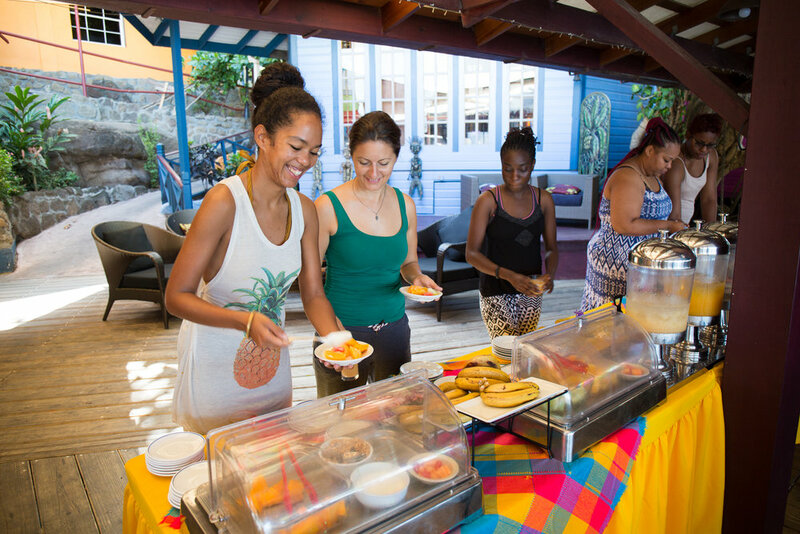 Join our co-founder Malaika Maitland in collaboration with Aquanauts Grenada for the Ocean Yoga Retreat a weeklong residential retreat at True Blue Bay Resort in Grenada. This all inclusive experience is a unique chance to explore your inner self and the underwater world. 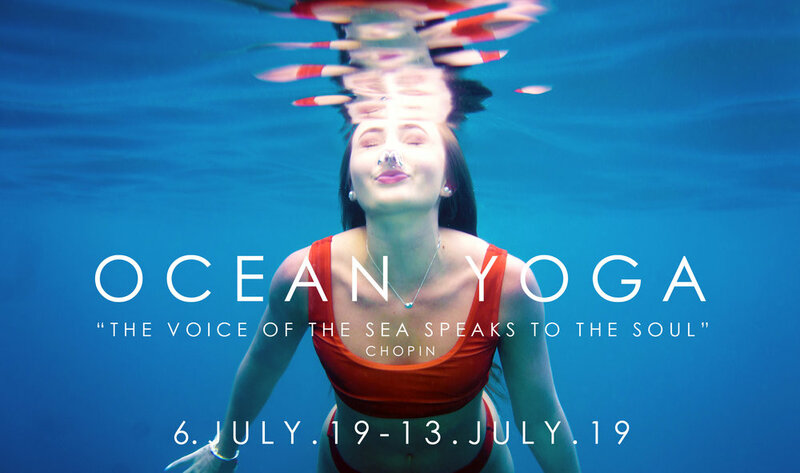 Yoga – Meditation – Pranayama – are at the heart of the Ocean Yoga Retreat combined with various underwater experiences. In this spiritually and physically immersive experience you will select a program that suits your interest and ability; be it scuba, snorkeling or freediving. Explore the ways that yogic tools can deepen your understanding of your body’s unique needs, enhancing your ability to move, breathe and remain calm both underwater and on land. Dive into yoga philosophy gems such as Ahimsa (non-harming) and Sthira and Sukha (balancing effort and ease) as a way of elevating your relationship with yourself and our natural ecosystem. There will be time for personal reflection, relaxation and an opportunity to stimulate your taste buds with some of the best chocolate, spices and rums in the world. Ever since the legendary free diver Jacques Mayol introduced yoga and meditation to freediving, they have become an integral part of the practice. As you ground yourself with yoga seek inner peace through meditation, so too you find your inner self as you to become one with the underwater world, on a single breath. 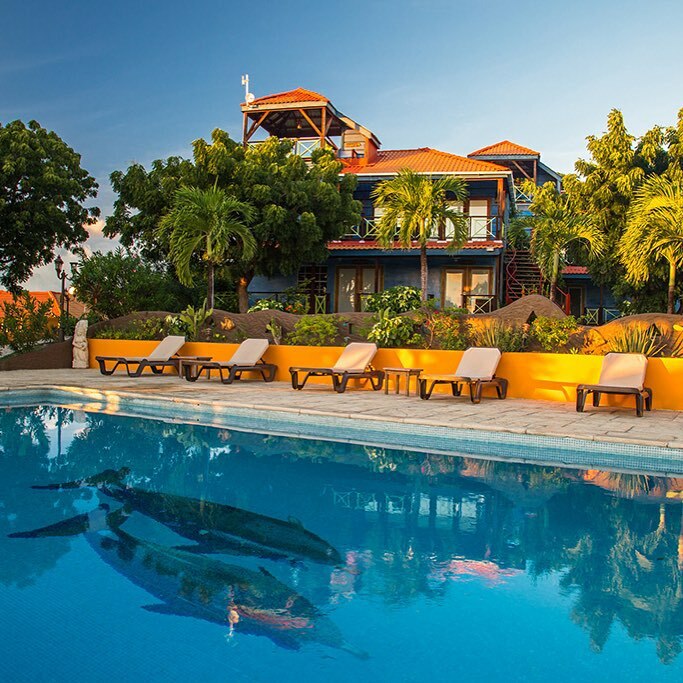 You may or may not go for the PADI Freediver certification or if you are already certified freediver enjoy some guided dives at Grenada’s beautiful sites. You may just join our boat trips snorkeling the Marine & Sculpture Park of Grenada and other beautiful sites. No pressure – no musts – all your CHOICE ! Plenty of time to rejuvenate and relax. 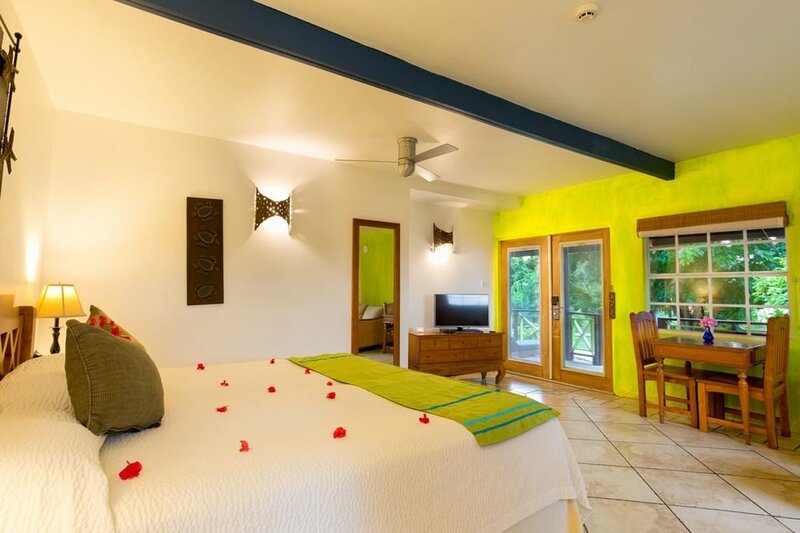 All inclusive package at True Blue Bay Resort including 7 nights accommodation in a Indigo, True Blue Style, Bay View or Cocoa Pod room, airport shuttle, all meals and drinks by the glass, Free Wi-Fi, Yoga classes and tours per schedule, all scuba gear hire and taxes. 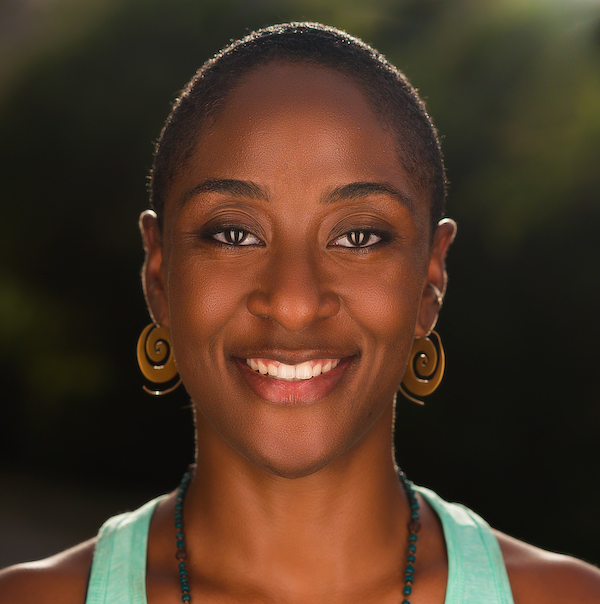 Malaika Maitland is an advanced teacher of therapeutic yoga (500hr), PADI advanced open water diver, doula and co-founder of Spice Harmony Yoga studio. Malaika has been teaching yoga for almost a decade and is currently completing her Professional yoga therapist certification (1000hr). 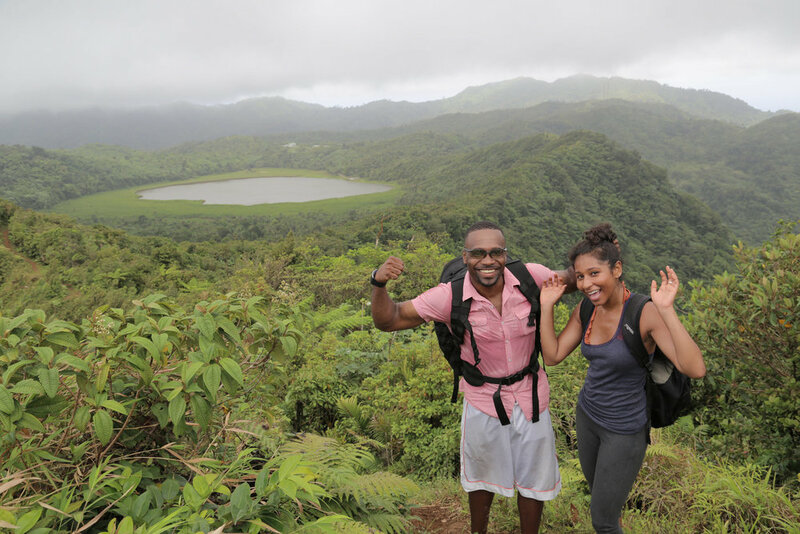 Her yoga studio is the only village based studio in Grenada and their offerings include weekly classes with inmates at the Richmond Hill Prison. Malaika travels to teach internationally including in The United States, Trinidad & Tobago, Jamaica, Bahamas, England, Mexico and Peru. Nicolas Winkler has been diving in the waters all around Grenada virtually his whole life. His true passion is for the oceans, as a marine biologist and ocean advocate, and through freediving has found the ultimate way to connect to the underwater world. Nicolas has been freediving one way or another for nearly two decades. He has, in recent years, completed a Freediving Instructor Trainer course, learned from and trained with some of the most knowledgeable freedivers in the world. In 2018, Nicolas started competing for Grenada and is currently its eight times national record holder. When he is not dreaming about freediving or the oceans, he can be found walking his ocean loving labrador dog along Grenada’s beaches. Gerlinde Seupel has been a Dive instructor for 20 + years and co-founder of Aquanauts Grenada dive center. 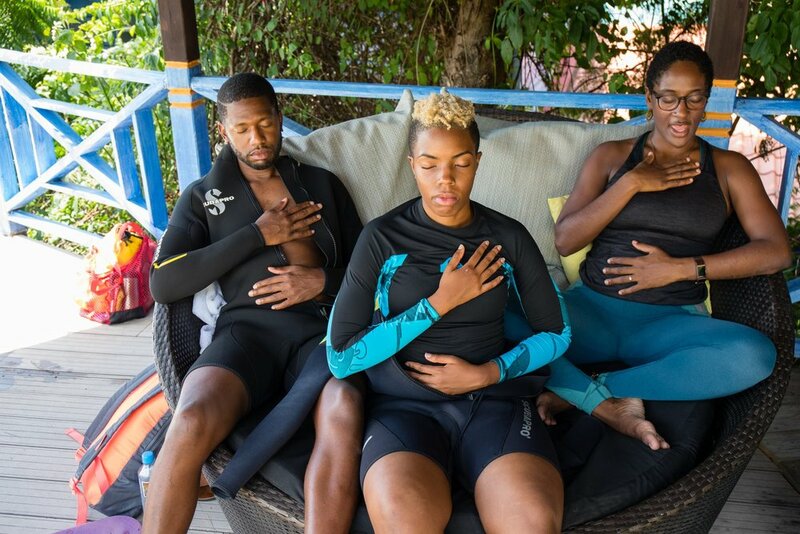 Through her yoga practice she discovered that yoga and scuba compliment each other tremendously and Yoga may help Novice scuba divers to overcome anxieties through Pranayama and meditation techniques. Thus she wrote a course outline for PADI and scuba yoga diver can now be taught worldwide. Gerlinde has been serving as director on the Grenada Hotel and Tourism Association board in which function she initiated the Go Pure Grenada movement to ban styrofoam and single use plastics on the islands.She is an environmentalist and animal lover. If not travelling to trade shows to market the island and Aquanauts she can be found tending her beloved garden und cuddling with her cat.